Hope you all had a wonderful May Day! It always amazes me how fast the months fly by - can't believe its already May! 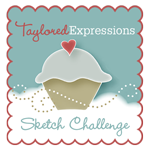 Speaking of which, welcome to Day 1 of the May Taylored Expressions Sneak Peeks! 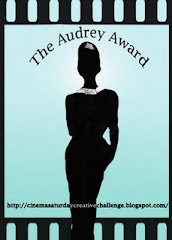 Mark your calendars for Thursday (May 5th) at 7am PST!! Woohooooo!!! Starting off for today, I have a project that I made for Father's Day using the Block Party - Dad die. 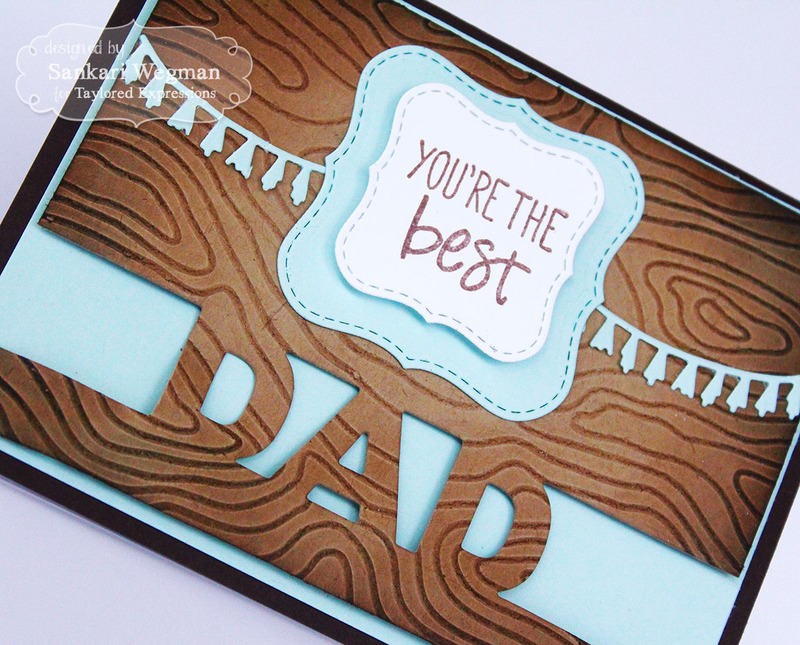 Father's Day cards are always the hardest because I want to keep them simple and not girly, swirly, ribbon-y :). 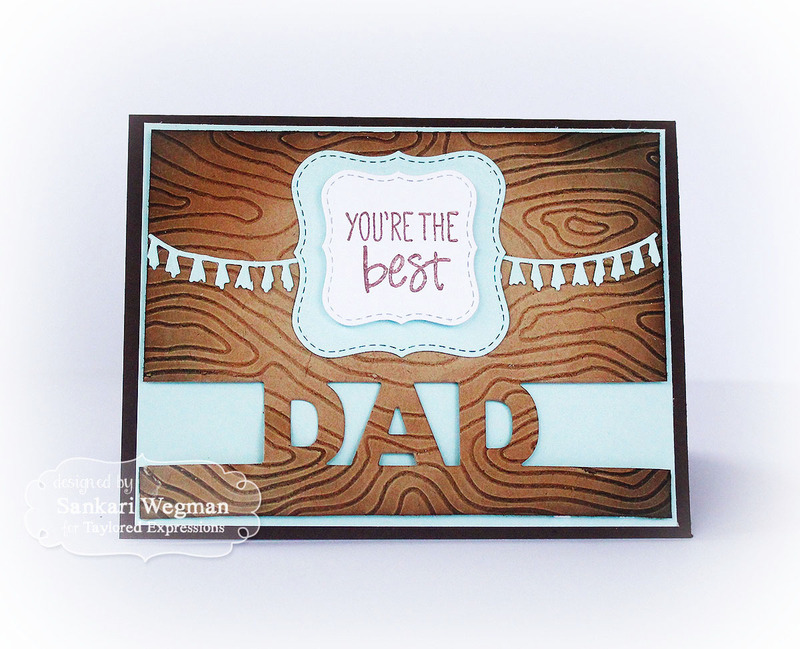 I used the Woodgrain Embossing Folder and then sponged it with both Memento Tuxedo Black and Rich Cocoa to bring out the woodsy-ness. I love how this turned out! For my second project, I used the new die: Tagging Along to create a favor using the Little Bits - Nailpolish die. I LOVE this new way to make a Party Favor - and perfect for holding some little treats or gifts! 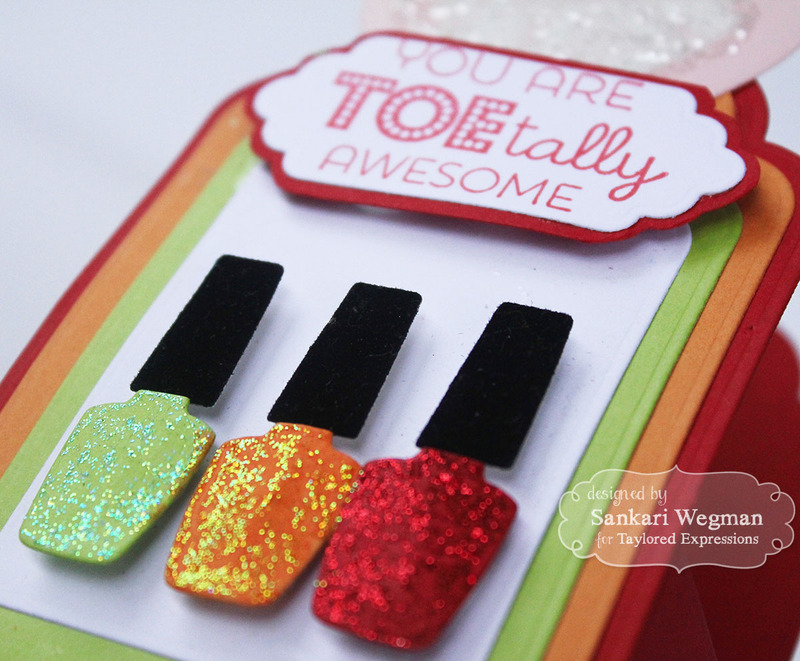 I used the Toe-Tally Awesome stamp set for the sentiment to go with the Little-Bits Nailpolish. This would be so fantastic for a birthday party favor! Here is a close up of this project: I used the Tag Stacklets 1 to add layers of color and then some stickles to the nail polish for a little bit of glitter - love how this turned out! Taylored Expressions is celebrating Release Week with some fabulous giveaways! 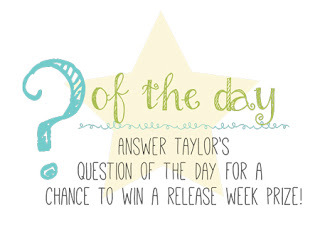 Visit the TE Blog to answer Taylor's Question of the Day for a chance to win a prize from the latest release!! 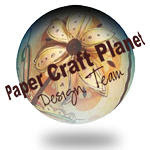 Thanks so much for stopping by today - I loved making these projects! Please hop back tomorrow for more sneak peeks!!! Taylored Expressions May Release Day!